peeled and cut each kiwi in 1 inch thick rounds. Stick a popsicle stick in each round. freeze on a tray in the freezer. melted chocolate and coconut oil over a double boiler, and then let cool to room temperature. 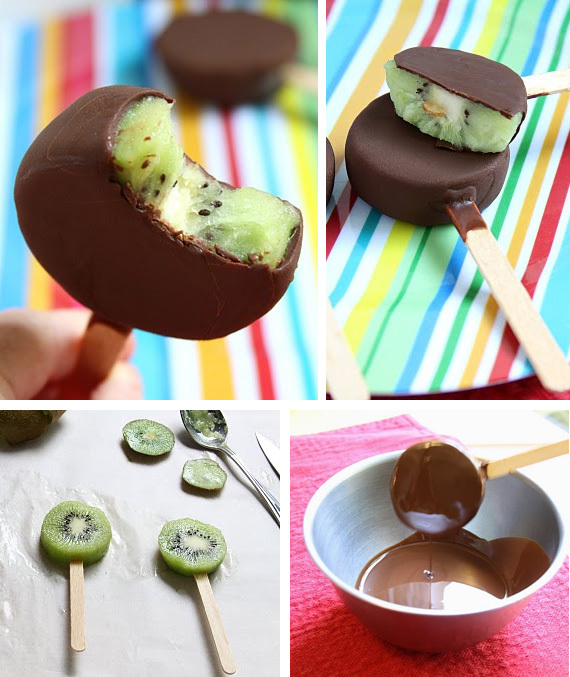 dip each kiwi-pop into the chocolate mixture. it will immediately turn crispy. either place it on a tray to refreeze, or dig in!